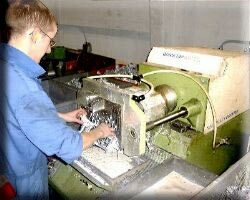 Tapping Services is equipped with a range of the very latest horizontal tapping machines. Designed for both symetrical and irregularly shaped components which cannot be conveniently magazine or hopper fed by conventional means. These machines can be set up very quickly, providing an extremely efficient and cost effective solution to many of the most complicated tapping and re-tapping operations. 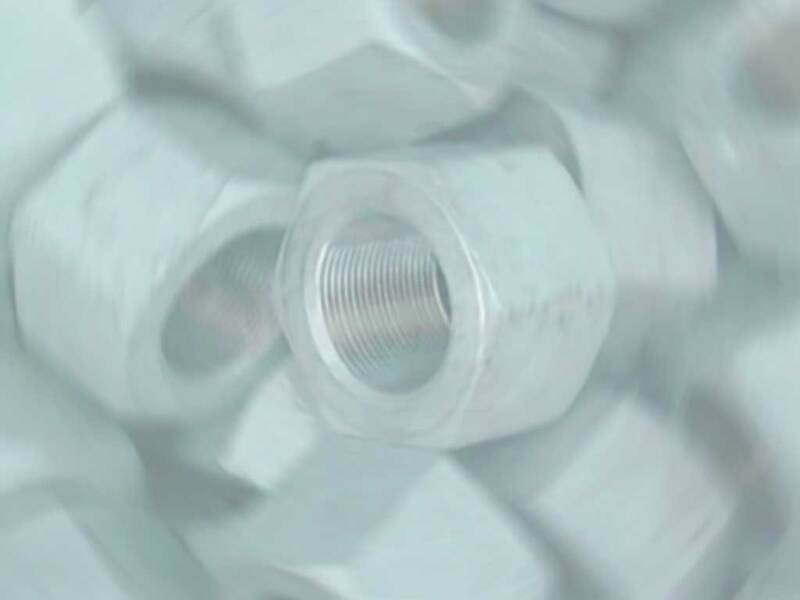 Tapping Services specialises in an extensive range of tapping operations in adition to industrial fasteners. Shown left is one of our Heavy Duty Vertical Tapping machines of the type used extensively by traditional Bolt and Nut Manufacturing companies. 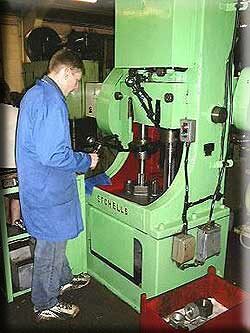 The machine shown left is a Twin-Spindle machine with a capacity of M30 up to M90 Diameter, originally built by David Etchells Ltd which was based in Darlaston, West Midlands, UK. Diameters greater than M90 are usually tapped horizontally because of the weight and physical size of the components and the threading taps. Neat cutting oil is flooded on to the cutting edges of the taps during the tapping process. Machines of this type cater for heavy duty industrial fastener applications. 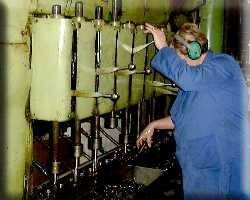 Diameters from M24 upwards to M60 are tapped on machines of the type shown here. Neat cutting oil is used for most applications, particularly the high tensile and corrosion resistant material grades. These machines are also quick and easy to set up and give consistent and reliable results.